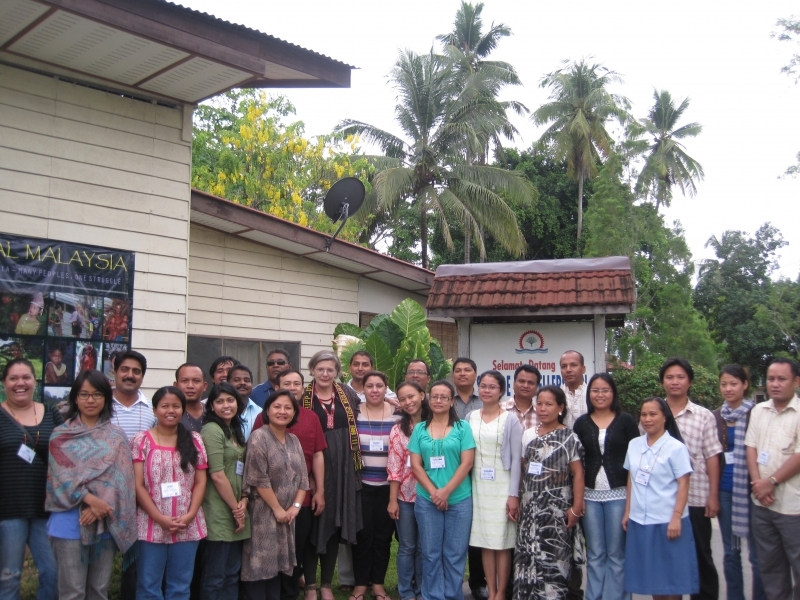 The 2012 training program was organized in partnership with the Asia Indigenous Peoples Pact (AIPP), Jaringan Orang Asal SeMalaysia (JOAS), and the Centre for Malaysian Indigenous Studies-University of Malaya (CMIS). The program was made possible through the financial assistance of the Fred Hollows Foundation, Oxfam Australia and the Ford Foundation. On behalf of the participants DTP would like to thank these organisations for enabling the 2012 Indigenous Regional program. Twenty-seven participants from 12 different countries in the region completed the 10-day intensive training program - from Australia, Bangladesh, Burma/Myanmar, Cambodia, India, Indonesia, Malaysia, Nepal, Philippines, Pakistan, Thailand, Sri Lanka. Their advocacy work focused on a range of issues for Indigenous peoples – preventing forced evictions and land-grabbing, challenging the destruction of rainforest for oil palm (bio-fuel) plantations, preventing the construction of mega-dams, creating sustainable employment, preserving indigenous cultural rights, combating political killings and disappearances, providing legal assistance and building peace and reconciliation. The program was enriched through the shared experiences and expertise of the participants.